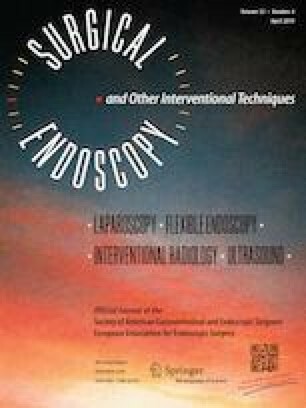 Although thoracoscopic surgery is commonly performed in patients with a pneumothorax and persistent air leak, it is still difficult to identify a definite air leak site during thoracoscopic surgery. The purpose of this study was to determine the safety, efficacy, and feasibility of intraoperative air leak site detection in spontaneous pneumothorax through low-pressure carbon dioxide (CO2) insufflation during thoracoscopic surgery. Of 54 patients who underwent thoracoscopic pneumothorax operations between March 2017 and March 2018, 22 pneumothorax patients underwent surgery for a persistent air leak. All patients were intubated with a single- or double-lumen endotracheal tube for general anesthesia. Three-port thoracoscopic surgery was performed, and CO2 was insufflated into the thoracic cavity at a pressure of 3–5 mmHg under two-lung ventilation to ensure visibility for video-assisted thoracoscopic surgery (VATS) and identification of the air leak site. Air leak sites were identified in all but one patient under CO2 insufflation. No intraoperative or postoperative adverse effects associated with CO2 insufflation were observed. The operative time was 37.8 ± 14.9 min (range 20–66 min), and the chest tube was removed after an average 2.7 ± 0.7 postoperative days (range 2–4 days). Patients were discharged after an average 4.1 ± 0.9 postoperative days (range 3–6 days). Postoperative recurrence was confirmed in 3 patients during 12.0 ± 4.0 months (range 5–16 months) of follow-up. A method to detect an air leak site during VATS for pneumothorax using low-pressure CO2 appears to be safe, effective, and feasible. Dr. Kang has no conflicts of interest or financial ties to disclose.